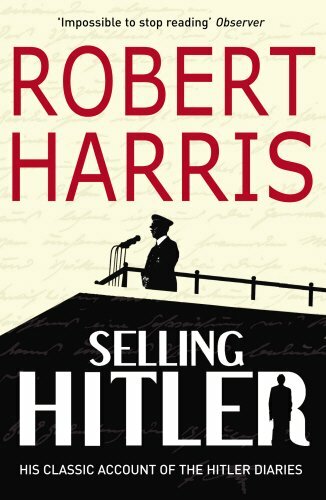 In Selling Hitler Robert Harris has provided an enthralling, blow-by-blow account of one of the most infamous hoaxes in history, the alleged discovery of the Hitler diaries. A potentially convoluted plot with many actors, Harris has done a remarkable job in organising the story in a comprehensible manner, and in so doing has simultaneously written a turn-paging piece of investigative journalism, full of interesting nuggets and occasionally humourous asides. History is always a work in progress. Sewing together the past from the scanty pieces left to posterity is a difficult task, and one which can never hope to fill all of the gaps and answer all of the questions. Hence when a new source comes to light, the potential to fill in a few holes in the jigsaw, to provide answers to some of the glaring question–even to essentially rewriting history–can be staggering. In the case of the Hitler diaries, of course, the potential was immense, not only in terms of offering a personal and uncensored glimpse into the world through his eyes, but for providing further information and evidence to solve mysteries like the ‘miracle’ of Dunkirk, Hess’ flight to Scotland, or Hitler’s role in the Holocaust. Yet the diaries were fakes, and obvious ones. Written on post-war paper, with post-war ink, the content largely consisted of dull and banal headlines from the Völkischer Beobachter, or speeches sometimes copied verbatim, i.e. including errors, from Max Domarus’ compilation Hitler: Speeches and Proclamations. So just how did such a media farce result from what ultimately proved to be such crude and unconvincing forgeries? What drove a respected magazine like Stern to spend 9 million DM on the diaries without once thoroughly checking the evidence? And how did other reputable newspapers like The Times and Newsweek similarly come to swallow the story? Aside from being a report into this particular hoax, “Selling Hitler” tells a sobering tale of greed and ambition over rationality that could apply anywhere. The atmosphere of secrecy and conspiracy, combined with the promise of acknowledgement and riches, allowed a poor quality forgery to hoodwink a media corporation and ultimately tarnish or even destroy the reputations of the journalists and experts associated with the find. A surprisingly large number of people who heard of or came into contact with the diaries soon suspended their disbelief on hearing the most rudimentary supporting evidence. Even excluding the evidence of flawed handwriting tests, to most of the people asked to check the diaries’ authenticity it simply didn’t seem plausible that someone would go to the trouble of forging over 60 volumes of diaries and sundry other papers. Ironically enough, the whole episode rings like a quote from Hitler’s Mein Kampf, often attributed to Joseph Goebbels, that the more colossal the lie, the more likely people are to believe it. Harris’ book is a superb summary of the whole affair, covering every angle and explaining each step as the fiasco house of cards was gradually built up, before being dashed to the ground. The lives of the chief culprits are portrayed, along with the roles played by people such as historians Hugh Trevor-Roper, David Irving and Gerhard Weinberg, as well as people like Rupert Murdoch (who has some amusing quotes). Whilst not totally devoid of personal opinion, Harris clearly showing sympathy for the Stern editors who were in his view forced to take the fall for the scandal, none of the characters are openly demonised, and the facts are objectively presented. The only small complaint to make would be that the book, first published in 1986, now feels incomplete and a little dated. My copy was printed in 2009, and it would have been nicer if a revised edition had been produced, if only with an extra chapter on what happened to such characters as the forger Konrad Kujau, the gullible and corrupt journalist Gerd Heidemann, or historians such as Irving, whose reputation gained a temporary boost by being one of the first to publicly denounce the diaries as forgeries. Life is nothing but the convection currents of carbon.